Consider getting to Lollapalooza early on Saturday afternoon to catch Nashville troublemaker Pujol at 1PM at The Grove Stage. 2012’s United States Of Being is a garage-y gem, and he’s currently working on its follow-up. “The Screaming Eagle of Soul” never disappoints. Charles Bradley & His Extraordinaires do an uplifting and fun show that you don’t want to miss. There also isn’t much up against them, so you’ve got no excuse. Do it. Los Angeles sister-trio Haim pen incredibly infectious pop (a la Steve Nicks), and I can’t help but love it. They’re already huge and have just one EP to their name (debut LP coming in September). Catch ’em at The Grove Stage at 3:30PM. Local Natives‘ Hummingbird put the California outfit miles beyond 2009’s percussive Gorilla Manor, and they thankfully didn’t lose a bit of their glimmer either. They’ve only refined their already-excellent live show these past few years, and should be great in Grant Park. With three great albums until their belt, including this year’s Holy Fire, Foals are set to return to Chicago to deliver one of their signature all-out performances at Lollapalooza. It should be great as per usual, and it’s cool that they’re not on one of the massive stages. Petrillo is big enough that you’ll be able to see the show well even if you’re not particularly close. Heartless Bastards welcomed their newest album, Arrow, in February of 2012. It’s their most straightforward and rockin’ LP yet, and they’re great live too. Catch them at 6PM on The Grove Stage. Unfortunately, Brooklyn’s resilient The National are playing directly against Heartless Bastards at the South end of the park. I’ll admit, I was nervous for what was to come after 2010’s High Violet, but they definitely pulled it off with this year’s Trouble Will Find Me. The best part is that the two records are extremely different. My advice is to make the most of your early evening by catching a bit of both The National and Heatless Bastards. 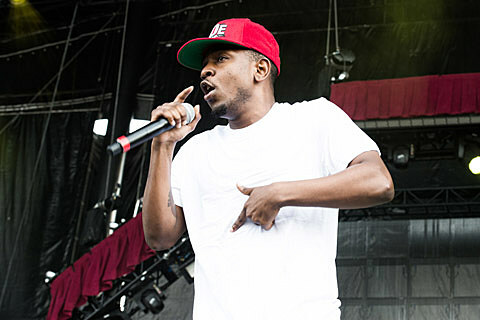 Mix things up a bit by heading to the very North side of the park to see Kendrick Lamar at 6:45PM. I’ve been a fan for a while, but I don’t think I fully “got it” until I saw him turn-up live. Lamar’s great at getting the crowd all riled up, and I doubt his festival appearance will be of any exception to that. Chicago production duo Supreme Cuts will close out the Petrillo Stage on Saturday night with a 7:45PM set. They’d be a great thing to see right after Kendrick Lamar, unless you’re jonesing for the aggro-rap of Death Grips (7:15PM; The Grove Stage). I distinctly recall purchasing a CD copy of Give Up when it came out in 2003, and being pleased to hear Ben Gibbard’s voice in a different context. 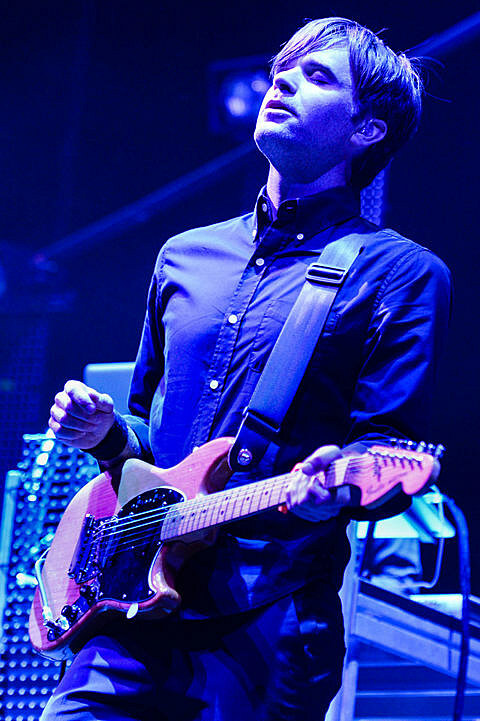 Fast-forward 10-years, and Gibbard and Jimmy Tamborello (Dntel) are touring in celebration of its anniversary. I couldn’t be more excited. You can check out our full Soundwave Tent schedule and the map on how to get there, and even enter to win a pair of three-day passes to Lollapalooza, HERE. If you’re heading to the festival, you’ll definitely want to download the official mobile app. Not going to the festival? There are a ton of aftershows you can still get into, like our pair of FREE shows at Ultra Lounge (Russian Circles on Saturday). You can also check out the festival webcast from the comfort of your own home.